Wednesday, my friend, Linda and I met two other friends for lunch. Afterward, Linda asked if I’d like to ride by her house and take pictures of her barn. (She remembered that I had recently written that my supply of barn photos was running on empty. ) 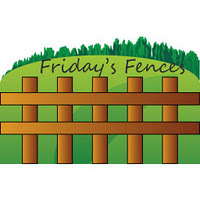 I’ll share the barn photos next week on Barn Charm, but while there at her farm, I found this week’s Friday’s Fence. 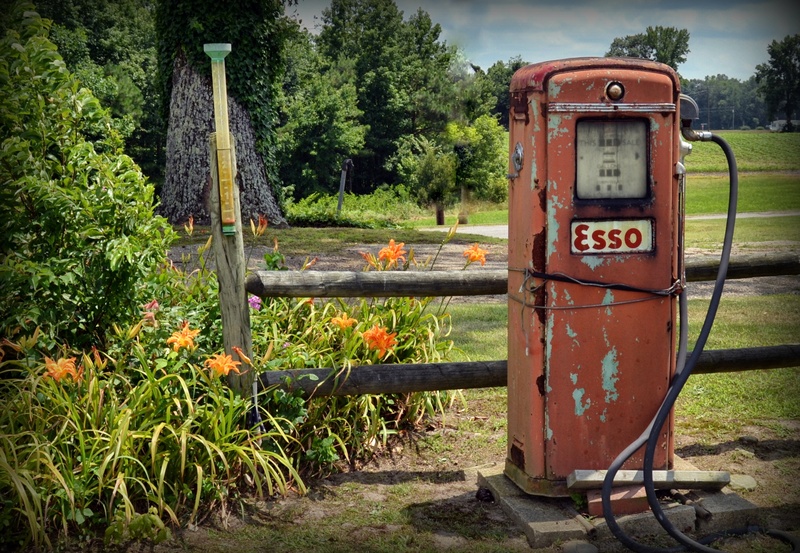 I just loved this little corner of the yard with the old gas pump and the tiger lilies. Oh, and the fence.